Avengers: Infinity War Box Office: Marvel Studios’ Avengers: Infinity War becomes the highest Hollywood grosser in India. With this, the studio now has the nation’s top two Hollywood films – Avengers: Infinity War and The Jungle Book to its credit. Just in its 2nd week, Avengers: Infinity War has surpassed the lifetime collections of Jungle Book in at the Indian box office. 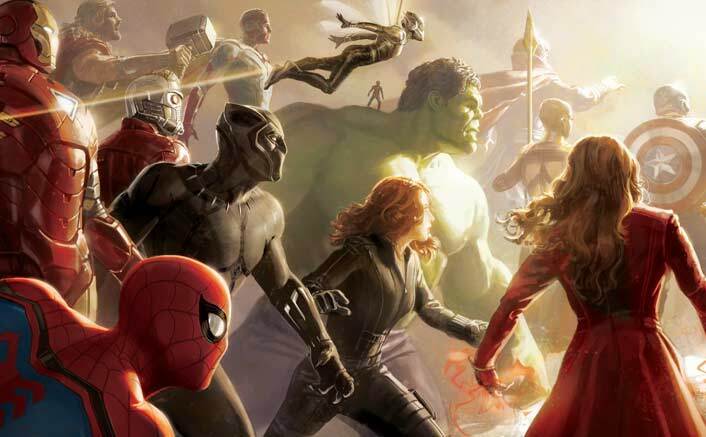 The Disney-Marvel film, which released on April 27, took around $122 million this weekend from 4,474 North American locations, which, combined with its international total, will push it past the $1 billion mark, reports variety.com. It is Marvel’s sixth film to reach that number, including the second most recent installment in the Marvel Cinematic Universe’s Black Panther. Over the course of 11 days, Avengers: Infinity War has clocked 192.38 crores Nett Box Office Collection and (246.51 crores Gross Box Office Collection) and counting since the movie is still ruling the hearts of fans across the country. The Jungle Book, back in 2016, collected a humongous 188 crores. Beating The Jungle Book, Avengers: Infinity War is now the highest Hollywood grosser in India. Race 3 Update: Salman Khan, 45 Tuxedos & Mind Blowing Action Sequences! It is currently running jam-packed in theaters. Avengers: Infinity War brings together 22 superheroes to fight one super-villain Thanos. Anthony and Joe Russo have brought the story alive on the big screen with actors like Robert Downey Jr, Mark Ruffalo, Benedict Cumberbatch and Scarlett Johansson. The superhero tent-pole opened to $257.6 million last weekend, attaining the highest-grossing opening weekend of all time. The post Avengers: Infinity War Box Office: Beats The Jungle Book To Become Highest Grossing Hollywood Movie In India! appeared first on Koimoi.